This is the true story of a retired businessman who’s been writing novels and having them rejected by publishers/agents. 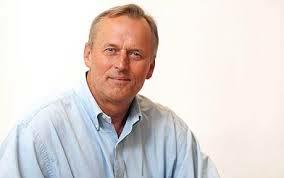 The businessman’s friend John Grisham (the best-selling author) offers to coach him in the writing of a new novel. The book sets out, in detail, all of the coaching provided over two years. 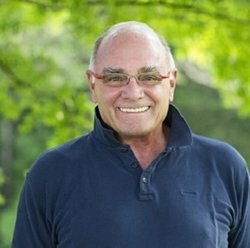 Tony Vanderwarker is a retired advertising executive who had his own, very successful, ad agency, sold it and moved from Chicago to Charlottesville, Virginia with his family. John Grisham, also a Charlottesville resident, is a friend of Tony’s, and one day, over lunch, John offers to ‘mentor’ Tony in writing a new novel. Grisham had previously referred one of Tony’s works to an agent whose review was positive, but not quite good enough to be published. the writing is sloppy: there are repeated words and phrases and factual inconsistencies. make the dialogue real: repeat it out loud. Tony makes the suggested changes and submits the manuscript to John’s agent, who likes it and refers it to another agent because it doesn’t fit for him. The agent to whom it is referred is very complimentary but declines. Tony goes back to the default mode of mass submissions, without success. When Tony has essentially given up on getting his novel published, he gets a great idea. Why not write a book about the process that he and John Grisham have been through. Grisham agrees, and the book is published by Skyhorse Publishing, who also agree to publish the mentored novel: Sleeping Dogs. For anyone who is interested in the process of writing fiction, this book is a must read. And for those with only a passing interest in the creative effort, there is enough of the rest of Tony’s life fitted neatly in to make to book a good read: his life as an advertising executive, his work for an environmental charity, his relationship with his wife and the Charlottesville area. Personally, I’m not surprised that Sleeping Dogs didn’t get published on the first attempt. From my point of view, there’s too much that stretches credibility. But, I’m not surprised that Skyhorse decided to take it up. Writing with the Master is a great promotion for Sleeping Dogs. As for John Grisham’s advice, I think that ninety percent is spot on. Two quibbles: I believe in outlining, but not to the extent that John does. I think that detailed outlines can stifle creativity, and I notice that Tony has reached a similar conclusion. There’s not much in John’s advice about the use of creative language, which I think is important to differentiate the writer and his/her text from the mundane. Tony writes well, and I’m glad that he decided to follow-up on his brainstorm: why not write a book about the mentoring process?